The outlook for waste management in smart cities is rapidly changing. They are responding towards the situation with more of an innovative aspect, after years of resistance in previous decades. Today, the waste industries and start-ups are making big strides in integrating the innovation in robotics, machine learning, and smart city technology into waste management. The pioneering role of such industries and start-ups has given a ground existence to smart waste management. Though the real world implementation comes with its own share of challenges, the benefits are outperforming. The intelligent waste management significance and the trending stories discussed here will compel you to believe ‘smart waste management is something worth more than gold itself’. There are direct benefits to applying technology to waste management. 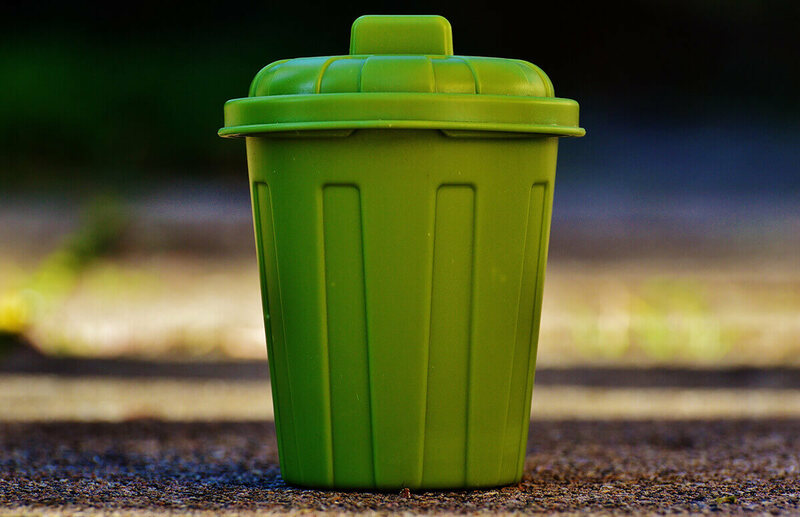 The Finnish Smart Waste Management firm Enevo reports that the operational cost associated with waste collection service can reduce by 50% through digitisation. 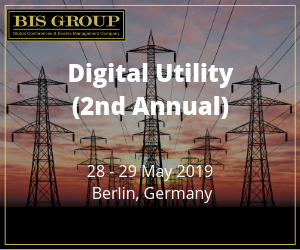 Furthermore, the estimations from Ecube Labs show an 80% reduction in operational cost if compacting technology is integrated to extend the collection intervals. The list of benefits given here signifies the role of technology in waste management. 1. The collection routes get optimised – Sensors and ultrasound technology used in waste containers monitor waste levels, record relevant information and relay it to the central management system. The data delivered to central management helps in designing the routes considering the waste levels. On the other side, the waste collection vehicles are outfitted with GPS and pollution sensors. Everything together forms an optimised waste collection cycle. The collection is initiated only when waste containers reach the full limit – The central waste management receives a signal from containers when they reach a threshold limit. This enables waste collection only when containers are full. This saves a significant amount of energy and time thereby reducing the pollution footprint caused due to unnecessary collection trips. 2. Positive impact increases – Overflowing waste containers attract rodents and cause odours. The efficient use of vehicles and human resource in collecting waste as soon as it reaches the limit has an immediate positive impact on the society. 3. Energy-efficient sensors – The advancement in technology brings to us devices that operate with enhanced energy-efficiency. 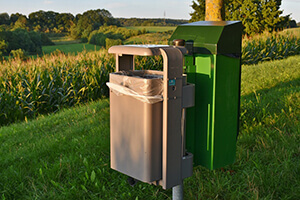 The modern sensors are capable of adapting to any kind of waste containers even at a remote location. They can work on batteries for 10 years not requiring any manual intervention or replacement in the particular time span. 4. Can Adapt to real-time events – The integration of big data and Smart City tech infrastructure to waste management systems enables the service to get notified on real-time events such as road restrictions or traffic congestions. With this, the system can ensure an efficient service even during unexpected incidents. 5. Efficient management of waste containers – The sensors are connected to the waste network 24/7. In case a sensor stops working, an automatic alert is sent to the centre. This enables them to send a maintenance staff immediately. The airport management authority for Dublin launched a smart waste collection system at the Dublin Airport. The initiative was implemented in collaboration with Ecube Labs which provided an optimised solution and ESE World which is Europe’s leading manufacturer of temporary storage for waste. As a part of the solution, Dublin Airport purchased 300 waste bin sensors to monitor the waste generation and recyclables in passenger bins across two terminals. Besides, utilisation of intelligent algorithms enables the managers at the airport to optimise waste collection time while having access to real-time data and fill-level forecasting. The deployment of this solution at the Dublin Airport has resulted in an impressive 90% of cost savings – The airport that once use to collect 840 containers four times a day is collecting just 80 containers a day. This optimised solution has further enabled airport facility team to reallocate their time into maintaining passenger areas, restrooms and much more. Plus, the sensors also enable them to know about different kind of waste generated that helps them monitor recycling efficiently. The significant benefits availed by the Dublin Airport has made them extend the installations in other areas of the airport too. Baltimore in Maryland, US has awarded a sum of $15 million USD to Ecube Labs to deploy the largest smart waste bin system in the history of the world. Ecube Labs is a leading intelligent waste management solutions provider with headquarter in Seoul, South Korea. As a part of the contract, the company will use IoT technology and solar-powered Clean Cube bins to be installed across the city of Baltimore in three phases. In its initial phase, the company will install 150 smart bins on the city streets in the beginning of 2018. The second phase will commence with the introduction of about 300 or more smart bins in other areas of the city. The initiative is set to accomplish the goal by the end of 2018. Until now we have just been talking about waste management in general. But if we consider food waste, it accounts for a completely different stream under waste management. But being a part of the waste management as a whole, it plays an extremely crucial role in cities. But the fact is, many cities are yet to have a full-fledged law enforcement in terms of food waste. Fortunately, the case is not true with France. It is the first country in the world to pass a law against food waste in supermarkets. The country has banned the supermarkets from discarding the food waste or the unsold food. Instead, they have been impelled to donate the same to food banks and charities. The law was passed by the French Senate unanimously. Going with the law, no large shops will be allowed to throw away food approaching its best-before date. This will enable charities to serve millions of free meals to people who struggle to make the ends meet or who cannot afford to eat.The food banks, who have welcomed the law have started hunting for volunteers, warehouses, fridge spaces and lorries to manage the enormous amount of food being donated by shops and food companies. The law is in accordance with the anti-poverty campaigns, grassroots campaign by shoppers and those who are against food waste. Furthermore, even the owners of the supermarkets with a footprint of 400 sq.metres and more have been issued with a law, forcing them to sign donation contract with charities. Supermarkets who fail to abide by the law will have to face a penalty of € 3,750. Until now French food banks have received 100,000 tons of donated foods. Out of which, 35,000 has been donated by supermarkets. Even a 15% increase in the food donated from supermarkets will lead to 10 million increase in the meals given out every year. Before the introduction of the law, 7.1 million tonnes of food was thrown away in France each year. 67% was thrown from consumers, 15% from restaurants and 11% from shops. Every year, 1.3 billion food is wasted worldwide. Apart from France, Massachusetts, California and San Francisco are some of the US cities who have implemented food waste management schemes at the local level. The significance of intelligent waste management and its benefits can bring about a big change in the society. The year of 2018 is set to witness a huge transformation in food waste and hard-to-recycle materials. The smart cities around the world are taking it as a challenge to make cities healthier and more resourceful.